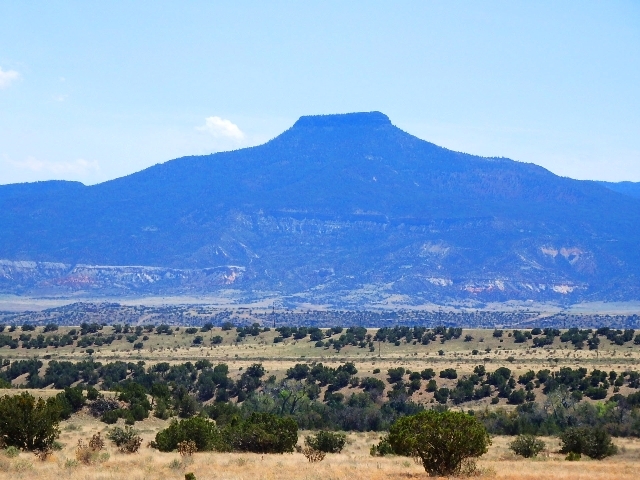 It may be remote, hundreds of miles from any international airport, but Georgia O’Keeffe’s New Mexico is set to become a must-visit as the artist’s sublime landscapes are seen for the first time this summer by visitors to Tate Modern. O’Keeffe painted flowers and New York skyscrapers too, but will be associated forever with her celebration of the craggy coloured cliffs, big blue skies dotted with cotton wool clouds, rounded Adobe buildings and bleached animal skulls which distinguish New Mexico from every other state in the union. This is a place where native American and Spanish colonial traditions converge to produce a heady mix of cultures. 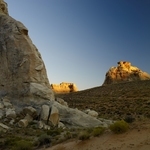 Where ancient adobe architecture shapes America’s most atmospheric lodgings and dozens of different native red and green chiles underpin tasty and unique southwest cuisine washed down with authentic margaritas. And where those skulls, antlers and other desert detritus now sit proudly beside the turquoise and silver Indian jewellery, bright woven textiles and local art in the galleries and souvenir shops. 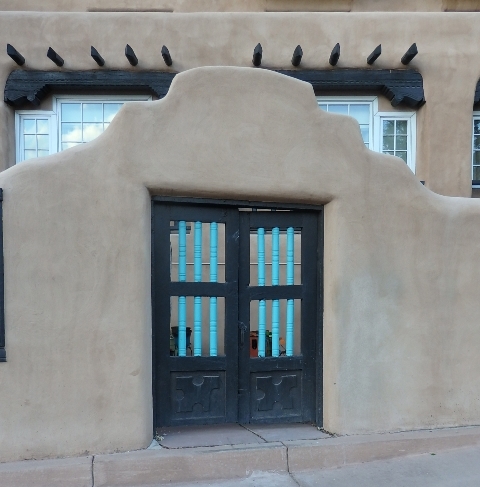 The wild desert, devoid of any souvenir shops, is never far away, but the O’Keeffe trail invariably starts in Santa Fe, where the eponymous museum devoted to the artist’s work makes a fine introduction. 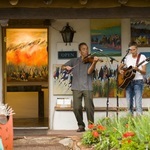 Arranged around a plaza, this picturesque little town fields fine restaurants; breakfast on chile-laced eggs at Cafe Pasqual’s, lunch alfresco at local favourite Santacafe, dine elegantly at The Inn of the Anasazi or celebrate O’Keeffe with a tasting menu at hip Eloisa, whose chef is the great-nephew of her own cook. It also has some lovely places to stay, this writer’s choice the well-priced and centrally-located Inn at Loretto, awash in local crafts and colour. 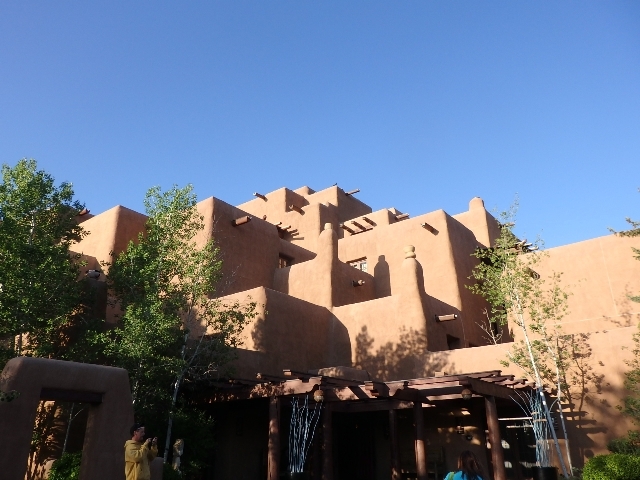 O’Keeffe herself lived a further hour’s drive north in Abiquiu, and also painted Taos Pueblo, a 1000-year-old living Native American community which is a World Heritage site and not to be missed when visiting the area. 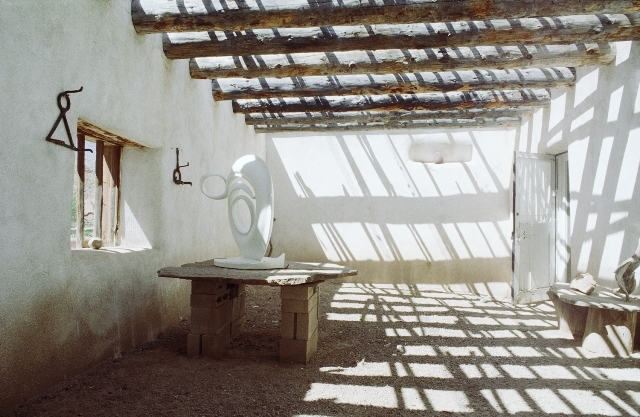 You can continue to the hamlet of Abiquiu, where the O’Keeffe Home&Studio, an 18th century adobe rebuilt by the artist in the 1940s, shows off her simple but stunning style. A gravel-floored room has been left deliberately roofless to create striking shadows while the huge white kitchen is the last word in mid-century modernity. The garden, which attracted the artist, who was an avid producer-grower and preserver, is also a delight. 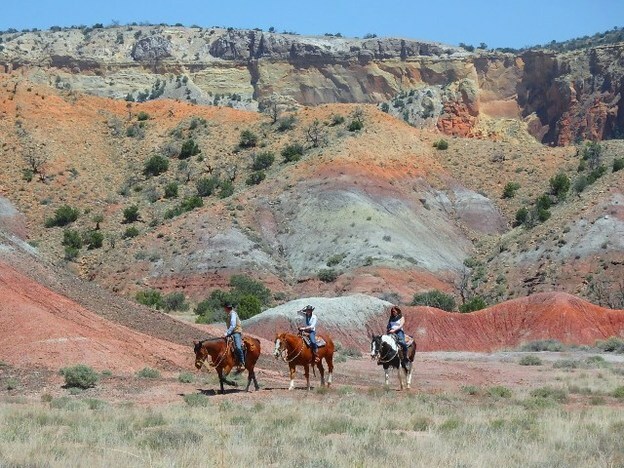 But O’Keeffe continued to spend summers in her first house in Ghost Ranch, worth an extra 15-mile drive to tour the artist’s painting locations by Jeep or on foot, take an art class or enjoy the mountainscapes on horseback. 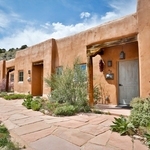 Rather than return to the city same day, the special atmosphere and fabulously fresh mountain air can be enjoyed with an overnight stay at the hot springs resort of Ojo Caliente. It was a favourite of O’Keeffe, and a soak in a private mineral bath overlooking the mountain scenery, surrounded by scented plants, gives you a fair idea of what persuaded the artist who in the 1940’s was the toast of New York to leave the fleshpots and move to the land she so tenderly described as “at the tail end of the earth”. Roofless Room (C) Georgia O’Keeffe Museum all other images (C) Anthea Gerrie. 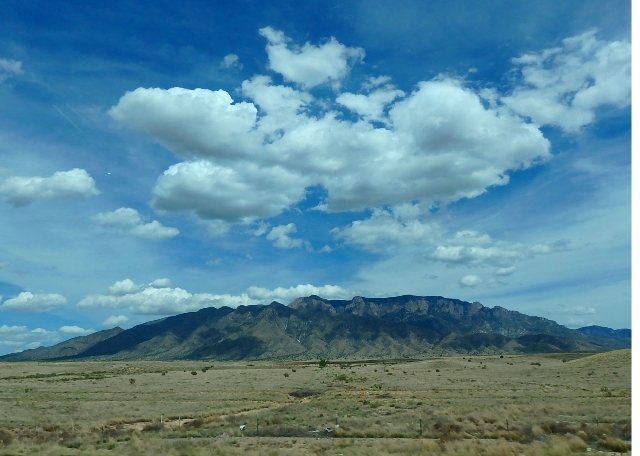 to drive from BA’s nearest gateway from London, Phoenix, or catch a connecting flight to Albuquerque, an easy hour’s drive from Santa Fe.